Gone are the days of impressions, audience potential, views and acknowledgement. For decades the direction of out of home and digital marketing strategies has been based on questions like, how many people might see our ad? And how many people saw our tweet? But, now we are seeing a shift in attitude after an industry wide epiphany. As the novelty of capturing mass audiences in busy streets and online wears off. The industry is now beginning to notice some fundamental faults with traditional OOH and digital advertising. Questioning the status quo tactics, and wondering why we are putting out tweets between 12pm and 4pm, placing our ads on a main street with potential footfall of 30,000 per day, but we have radio silence. Enter the age of likes, retweets, engagement, polls and conversations. Now a days, tweets and billboards are not enough. The online and physical environments are changing, consumers want more. They want an interaction, they want dialogue, and they want to create a relationship with a brand. Consumers want to interact with a brand like they would with a friend. This is why we are seeing the rise of a new performance metric: relationship reach. Rather than carrying out a strategy and measuring performance on how many people have potentially engaged with an advertisement or activation; the modern strategy is based around the number of people who have directly engaged with the activation. 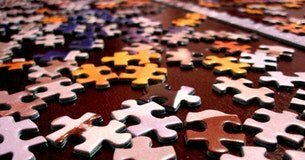 Going beyond the value numerical data gives us; we now have to look at metrics which are harder to gain, but far more valuable for the future of strategic success. 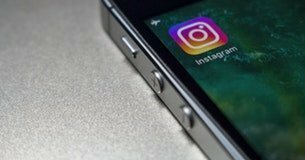 Looking at strategies – online and in the physical - through the lens of relationships will give a market appropriate measure on how successful a campaign is. By beginning to think about how well these campaigns have sparked debate, discussion and gained online ‘clout’ as well as how well they have generated levels of conversation is a new way to gauge success. The future must be focusing on creating campaigns which move away from talking at consumers, to talking with them. By combining and utilising the powers of technology, connectedness and the physical environment to create experiences which engage consumers and build meaningful long lasting relationships. If you would like to find out how to connect with consumers in the 21st century market, don't hesitate to get in touch. 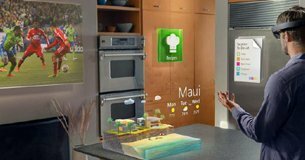 Microsoft recently announced its new wireless "hologram glasses" merging reality with a virtual world. 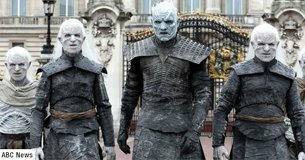 Morning commuters in London, England encountered the eerie looking White Walkers marching on the streets and around King's Cross Tube station.